This enhanced color image shows the surface of a lobate debris apron in the Deuteronilus Mensae region of Mars, on the boundary between the Northern plains and Southern lowlands. These lobe-shaped formations commonly emanate from mesas in this region and have pitted, lineated textures that suggest the flow of water ice. 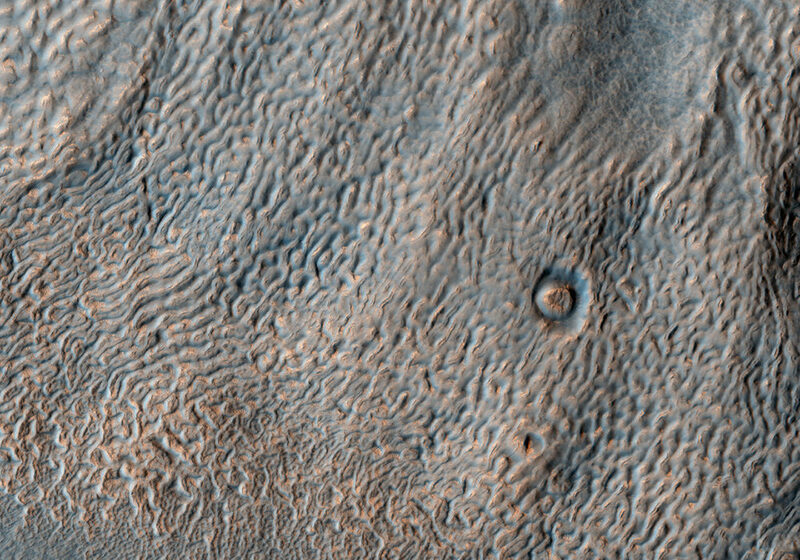 Results from the SHARAD (SHAllow RADar) instrument on MRO indicate that lobate debris aprons in Deuteronilus Mensae, similar to those visible here, are composed of material dominated by ice and are interpreted to be potential debris-covered glaciers or rock glaciers. These debris apron surfaces are also covered by an ice-rich deposit that we’ve observed draping over entire regions in the mid-latitudes of Mars. It is this mantling deposit that filled in the crater, with its subsequent removal around the outer margins, probably due to differential sublimation of the ice. 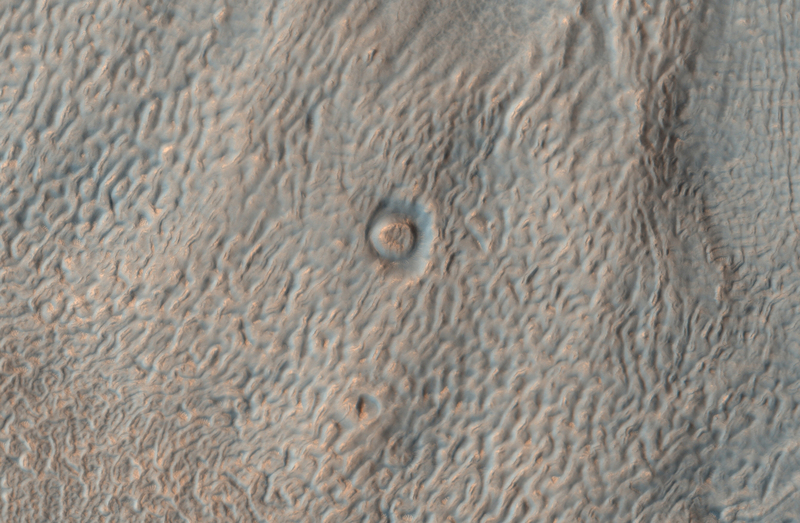 The same textures in the center of the crater are like those of the surrounding terrain.